Sensei William Lester started Martial Arts (Ryu Kyu Kempo) under Sensei Dean Owens in April 24th 1986. He made Black belt in early 1992. Late 1992 he joined into the military and worked out with any traditional martial arts instructor he was able to meet. In 1995 Sensei Lester was visiting Sensei Frankie McCoy (Sensei Dean Owens immediate instructor) and was promoted to Nidan under her. From 1995- 1997 Sensei Lester started his own school (Lester's Karate Do) allowing military personal and there dependents to learn Okinawan martial arts. This school was located in Marietta Georgia. Average student capacity was around 30. After 1997 The military started moving Sensei Lester around so much that he was unable to keep a school and started teaching privately never having over 3 students at a time. In 1997 Sensei Dean Owens promoted him to Nidan also. The gap between the two promotions was because of the time Sensei Lester was in the military and visiting different instructors. This is the same rank from the same style Just a different instructor recognizing Sensei Lester as such. From 1998-2003 I worked with Riggs, a 5th degree in Isshin Ryu. Sensei Riggs promoted Sensei Lester to 3rd Dan in August 2001 at Green Cove Springs Florida. (This was his home and where Master Riggs was planning to retire.) Sensei Riggs was reassigned to New Orleans right after 911. Unfortunately Sensei Riggs left this world in Sept 2003. Sensei Lester was honorably discharged from the military in Aug 2003 and started teaching privately in Villa Rica Georgia. His wish is to change this to a school as soon as possible. Even though Sensei Lester was teaching privately he was also taking Korean Tae Kwon Do under Mr. Dustin Vaughn. In 2006 Sensei Lester moved back to Virginia and started working out with Sensei McCoy again and was promoted to 3rd in 2007. Sensei McCoy retired and left the school to Sensei shortly after. Sensei Lester decided to join the United States Martial arts association as to be formally recognized. He was promoted to 4th degree an April 1 2008. As of current he is teaching in Coeburn Virginia. 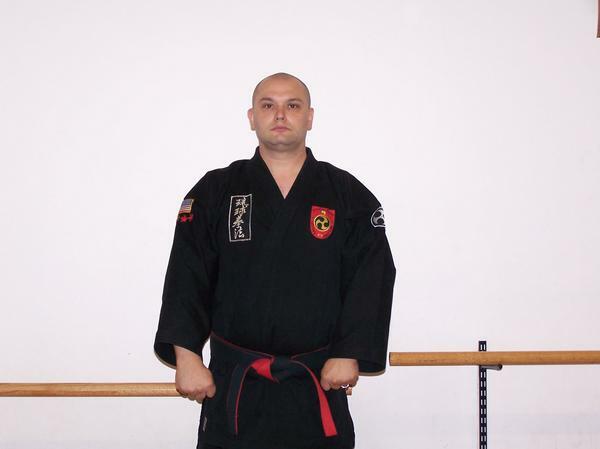 As of 2012 the ICMAUA accepted Sensei Lester as 9th degree black belt. Bobby and Hope Lawson are a father and daughter team with skill to match there knowledge. Bob is a Master in Small Circle Jujitsu and in Okinawan Kempo Jitsu.